Pericardial access is gained under fluoroscopy using a 21G needle followed by placement of the 13F SofTIP catheter. 8F transseptal access is achieved with standard techniques. 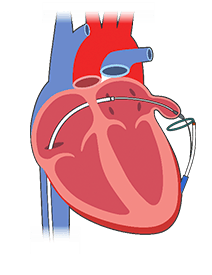 The FindrWIRZ magnetically tipped guide wires are attached endocardially and epicardially creating a rail for delivery of the LARIAT without grasping or manipulation of the LAA. Using fluoroscopic and echocardiographic imaging, the LARIAT is advanced to the ideal closure location identified by the EndoCATH occlusion balloon. With the LARIAT snare closed, the suture is released and tightened. The SureCUT remote suture cutter is advanced to terminate excess suture and minimize foreign body. 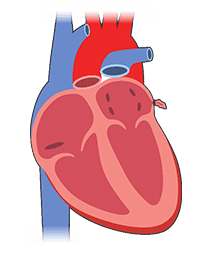 Over time, the left atrial appendage will shrink away and disappear thus, permanently eliminating an incubator for thrombus in patients with atrial fibrillation. The LARIAT procedure is a percutaneous approach to immediate and complete left atrial appendage (LAA) closure without the need to leave an implant inside of the heart. Using an innovative approach to remote suture delivery, the LARIAT is precisely placed around the base of the LAA through a 13F SofTIP guide cannula using standard imaging techniques. 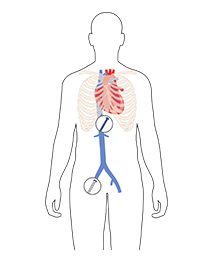 There is no grasping or manipulation of the fragile LAA tissue and the closure location may be optimized with the ability to re-open the LARIAT snare as often as needed without deployment of the suture. The primary objective of LAA closure is to eliminate any communication between the left atrium (LA) and the LAA in patients with Afib for the purpose of reducing the risk of potentially dangerous emboli escaping and causing a devastating stroke. Suture closure of the LAA has been performed since the 1940’s in surgery but the results have been mixed due to the variability of operators and techniques used to close the LAA. The LARIAT procedure eliminates these variables with a proprietary method of tightening that ensures a consistent method and tension of closure. 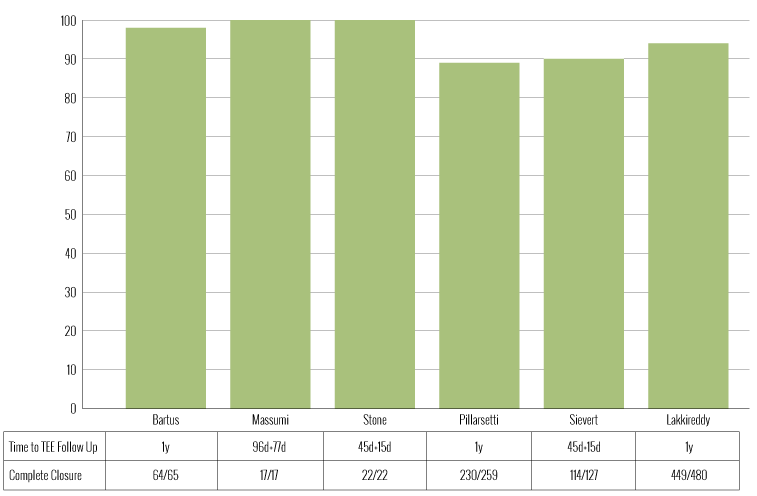 Published literature shows that the LARIAT has long-term complete closure rates of 90%-100%1,2,3,4,5,6. Rarely will a leak be greater than 2mm. Proper technique and anatomic placement of the LARIAT improves optimal closure results. 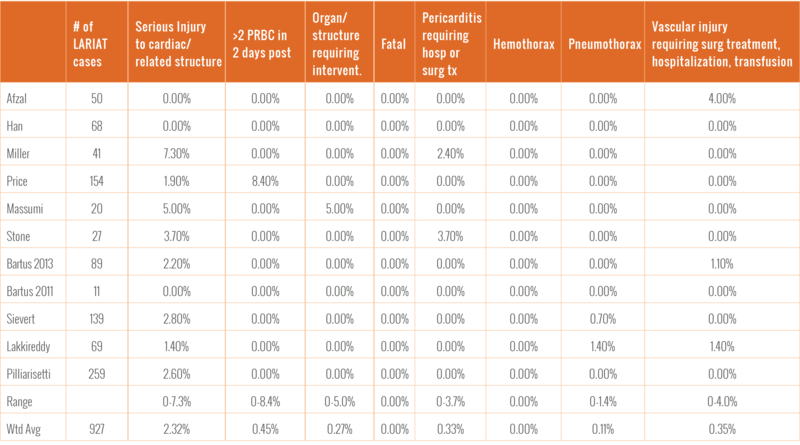 The table below provides a comprehensive overview of all literature published on the safety of the LARIAT procedure since its commercial release. 7 Afzal, M.R., et al., Impact of left atrial appendage exclusion using an epicardial ligation system (LARIAT) on atrial fibrillation burden in patients with cardiac implantable electronic devices. Heart Rhythm, 2015. 12(1): p. 52-9. 8 Han, F.T., et al., The effects of LAA ligation on LAA electrical activity. Heart Rhythm, 2014. 11(5): p. 864-70. 9 Miller, M.A., et al., Multicenter study on acute and long-term safety and efficacy of percutaneous left atrial appendage closure using an epicardial suture snaring device. Heart Rhythm, 2014. 11(11): p. 1853-9. 10 Price, M.J., et al., Early safety and efficacy of percutaneous left atrial appendage suture ligation: results from the U.S. transcatheter LAA ligation consortium. J Am Coll Cardiol, 2014. 64(6): p. 565-72. 11 Massumi, A., et al., Initial experience with a novel percutaneous left atrial appendage exclusion device in patients with atrial fibrillation, increased stroke risk, and contraindications to anticoagulation. Am J Cardiol, 2013. 111(6): p. 869-73. 12 Stone, D., T. Byrne, and A. Pershad, Early Results With the LARIAT Device for Left Atrial Appendage Exclusion in Patients With Atrial Fibrillation at High Risk for Stroke and Anticoagulation. Catheter Cardiovasc Interv, 2013. 13 Bartus, K., et al., Percutaneous left atrial appendage suture ligation using the LARIAT device in patients with atrial fibrillation: initial clinical experience. J Am Coll Cardiol, 2013. 62(2): p. 108-18. 14 Bartus, K., et al., Feasibility of closed-chest ligation of the left atrial appendage in humans. Heart Rhythm, 2011. 8(2): p. 188-93. 15 Sievert H, R.A., Bartus K et al.,, LAA ligation in nonvalvular atrial fibrialtion patients at high risk for embolic events with ineligibiltiy for oral anitcoagulation: Initial report of clinical outcomes. JACCCEP. 2015;1(6):465-474. 17 Pillarisetti J., et al., Endocardial (Watchman) versus Epicardial (LARIAT) Left Atrial Appendage Exclusion Devices: Understanding the Differences in the Locations and Type Leaks and their Clinical Implications. Heart Rhythm. 2015 Jul;12(7):1501-7.